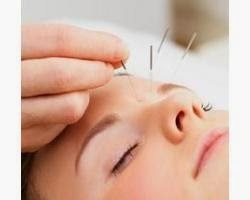 Researchers have found that acupuncture offers substantial benefits in preventing headaches and improving the quality of life for people who suffer from frequent headaches, especially migraines. These studies suggest that acupuncture should be integrated into existing treatment protocols for migraines. Since 1976, the World Health Organization includes acupuncture as a medical treatment and even compiled a list of diseases that it can be recommended for. Recently, the American Agency for Food and Drug Administration (FDA), after examining the controlled clinical studies on acupuncture concluded that it is effective for the treatment of chronic pain, vomiting, hemiplegia, diseases of the respiratory system and addiction to substances. All of us have experienced an excruciating headache at least once in our lives. For 15-20% of the population the problem is so severe, it has an affect on the proffessional and social life of the patients. 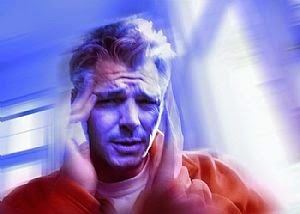 Migraine headaches are usually one-sided, pulsating or throbbing, and moderate or severe in intensity. They can be worsened with activity and may be associated with nausea and/or vomiting, as well as sensitivity to light or noise. Some patients also experience auras, a neurological symptom that develops gradually over 5-20 minutes. The patient may see brief flashes or waves of light, or changes in their vision. Other common features of auras include vertigo, imbalance, confusion and numbness. Many people with migraines can be adequately treated when the attacks occur, but some need prophylactic interventions, as their attacks are either too frequent or are insufficiently controlled in this way. Several drugs, such as beta-blockers, amitriptyline or sodium valproate, are used in the prophylaxis of migraine in an attempt to reduce attack frequency, but all these drugs are associated with adverse effects. Providing pain relief - by stimulating nerves located in muscles and other tissues, acupuncture leads to release of endorphins and other neurochumoral factors and changes the processing of pain in the brain and spinal cord. Reducing inflammation - by promoting release of vascular and immunomodulatory factors. Reducing the degree of cortical spreading depression (an electrical wave in the brain associated with migraine) and plasma levels of calcitonin gene-related peptide and substance P (both implicated in the pathophysiology of migraine. Affecting serotonin (5-hydroxytriptamine) levels in the brain.